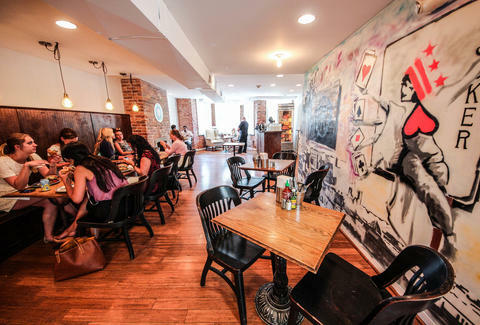 Where "East London" meets "East Dupont", and potentially where Shelden Williams will meet Shavlik Randolph for a formal discussion on high-protein vegetable options in Durham, NC, Duke's Grocery is a market/pub that serves up a deliciously meaty line of rotating sandwiches alongside craft brews, in a two-story space w/ a small selection of produce from Potomac Farm Market. 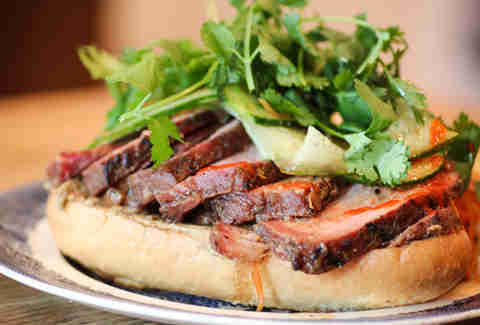 The house Banh Mi features layers of apple-/Hoisin-glazed pork shoulder, chicken liver pate, pickled daikon & carrot, coriander, Sriracha, and fish sauce (you could probably get Phish sauce, though you'd pay a considerably larger Fee). 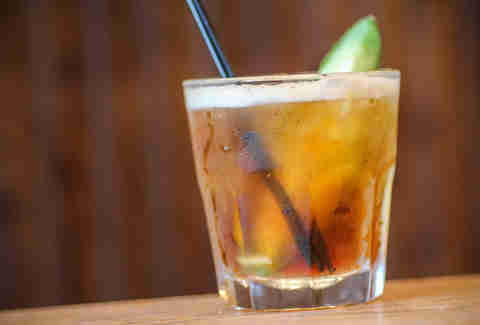 This East London market *slash* pub slings seven craft beers (DC Brau/Port City/Bell's) and has a list of classic 'tails w/ a twist, like this fresh ginger/ginger ale/Pimm's/cucumber spear Proper Pimm's Cup that does want you to extend the pinkie upwards while drinking. What's that creeping? 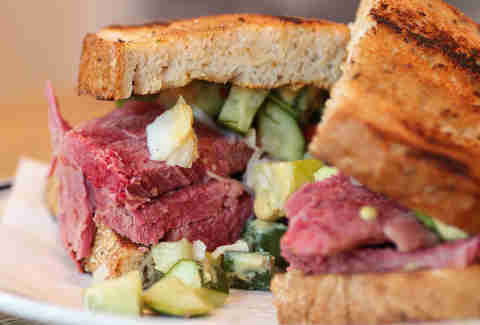 Oh, just stacks on stacks of brined brisket, w/ house pickles spilling out between toasted rye. 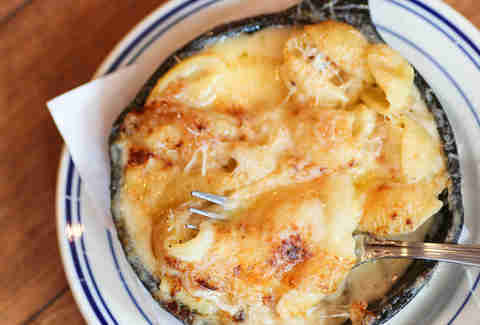 In between shoveling meats and breads into your system, take a break with a nice cast-iron bowl of white truffle mac 'n cheese, w/ Gruyere/Gouda/cheddar cheeses. 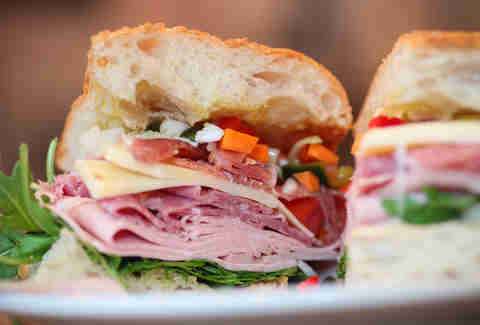 A favorite of the house meat man, the Butcher's Choice is a freaking Sheldon Williams-sized giant: soppressata, jamon serrano, mortadella, Gruyere, pickled vegetable giardiniera, and marinated serrano chilis on a rustic ciabatta loaf.